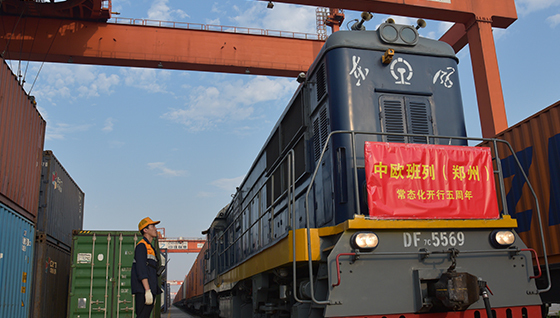 "When we were to start the first train to Europe, we encountered many doubts, on transport security, transport stability, customs clearance and so on," Kang Yan, vice general manager of Zhengzhou International Hub Development and Construction Co., Ltd, said as he recalled the development of the Zhengzhou-Europe Railway Express trains. At the beginning, the trains transported mainly machinery and automobile parts, and collected goods from an area within a radius of 500 kilometers. 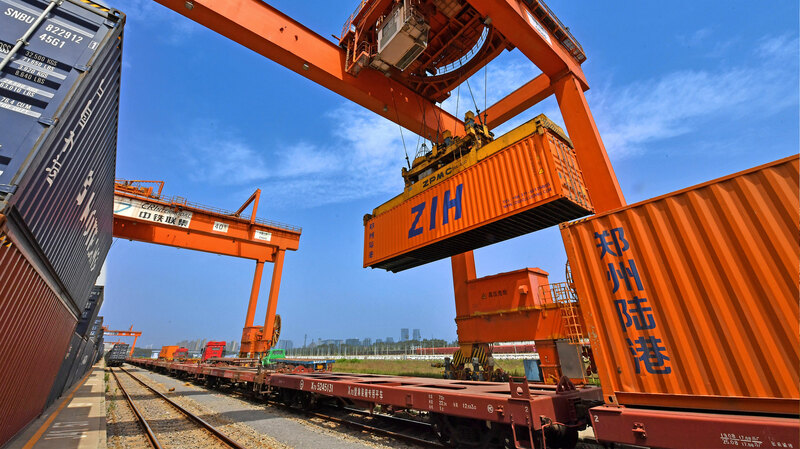 Only 13 trains carried 9,400 tons of goods worth US$48 million in the first year, which took on average 18 days between Zhengzhou and Hamburg. 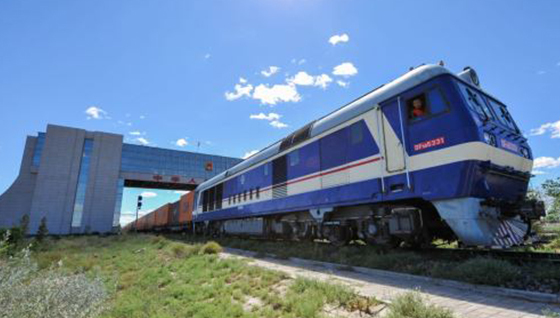 Over the past five years, the variety of goods transported through the trains increased. 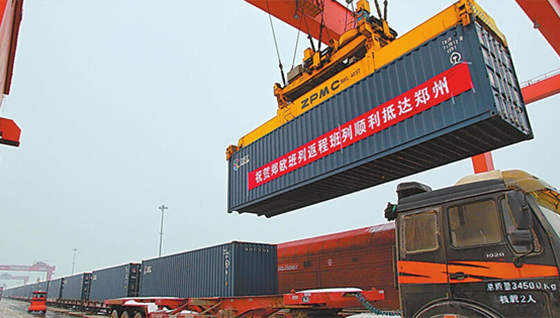 Over 1,300 types of goods have gone through this route to Europe, including laptops, toys, clothing and shoes, ceramics, medical equipment, aircraft manufacturing materials, traditional Chinese medicine, and even flowers. The items coming back included automobiles and parts, electromechanical equipment and parts, grains, oil, dairy products, beverages, among many others. 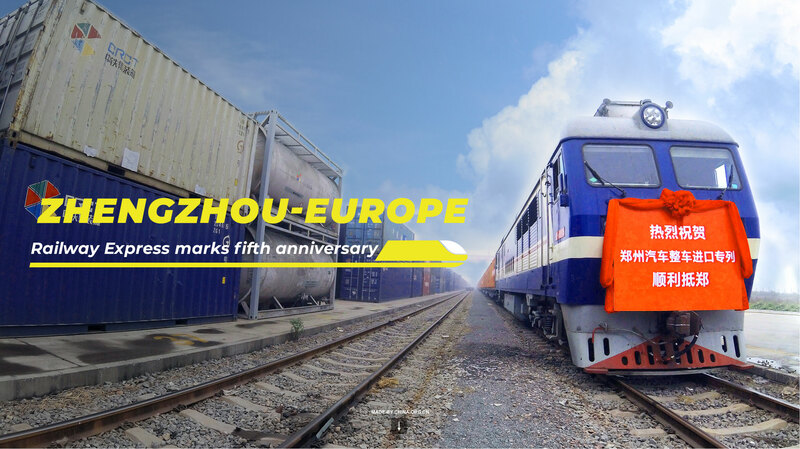 Five years on, the Zhengzhou-Europe Railway Express trains have carried 673,500 tons of goods worth almost US$7 billion. 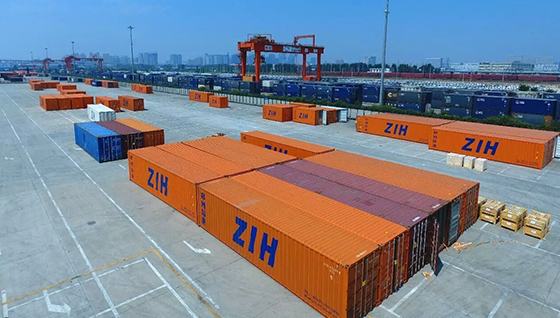 "We have won the trust of our clients with consistent, high quality services over the past five years," said Kang at the Industry Cooperation Forum for Asia-Europe Interconnection held in Zhengzhou on July 17. 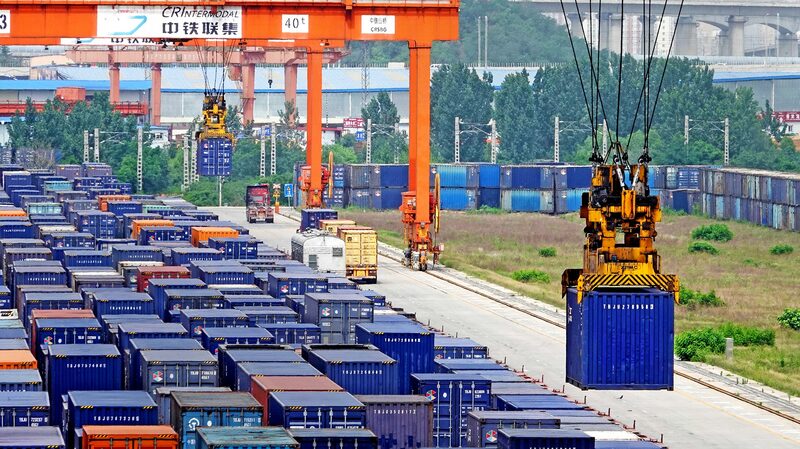 The number of trains running between Zhengzhou and Europe per week has increased from one per month at the beginning to 17 per week since July this year. With the increasing frequency of the transcontinental trains, more companies began to take advantage of the route and expand their operations. 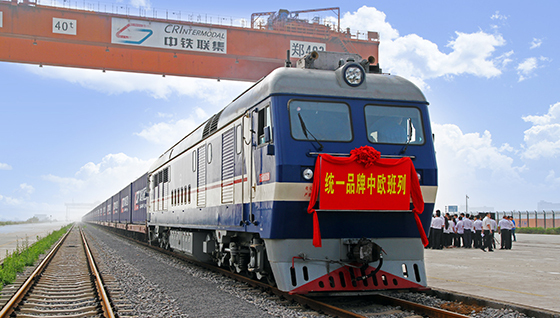 Shanghai Taihua Freight Agency Limited became one of the first clients of the Zhengzhou-Europe Railway Express trains. 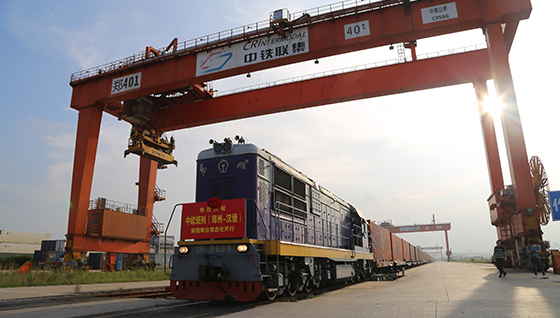 Kong Weidong, manager of the company, said that rail transport through the Zhengzhou-Europe Railway Express trains takes only one-third of the time compared to sea transport and costs less than air transport. 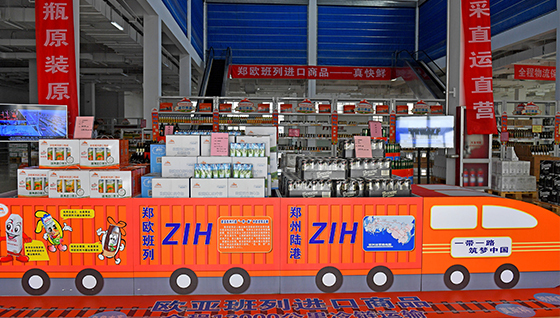 The company grew together with the Zhengzhou-Europe Railway Express trains over the past few years, and the number of its employees increased from only two, when the trains began operation, to over 20. The variety of goods The variety of goods these trains transported also increased throughout the years. 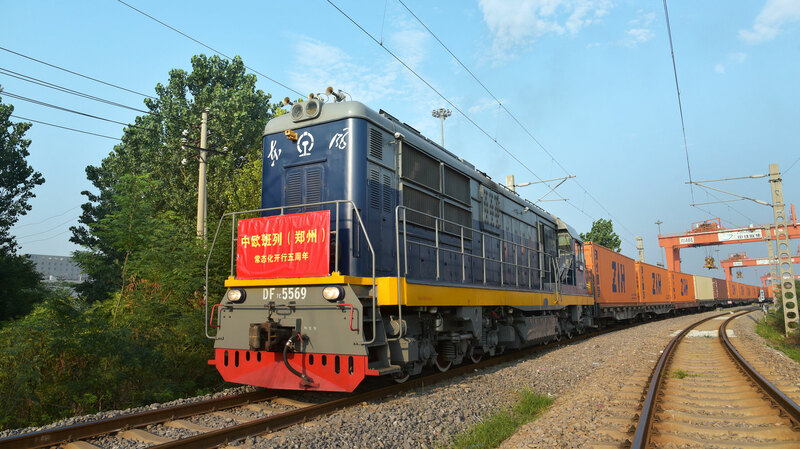 Kerry Logistics, a Hong Kong-based logistics service provider, is another customer of the Zhengzhou-Europe Railway Express trains, along with many other similar routes running from China to Europe and regions along the way. 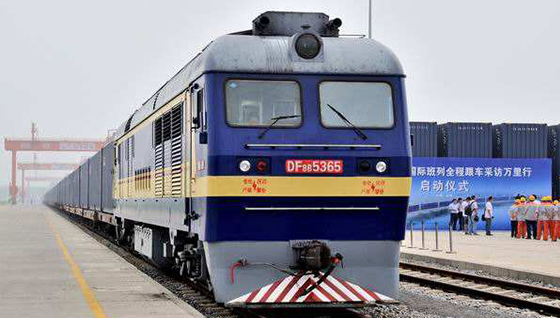 The company's general manager in China, Victor Chen, said it has benefited from the trains not only in a pragmatic way, but the route has also contributed to the company’s strategic development. "It is not only about the increase of our rail transport businesses or our mergers and acquisitions, but the Belt and Road Initiative underlying the development of China-Europe Railway Express trains actually provides a firm and reliable direction for the expansion of our global network," said Chen. The investment in projects and products under this framework can guarantee the company more sustainable growth and more success in the future decades, he said. 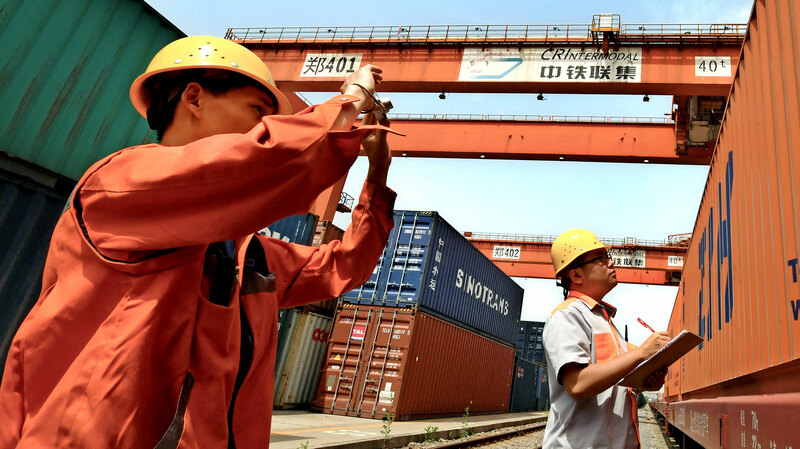 Sandra Géhénot, head of the Freight Department of International Union of Railways (UIC), said that the rail operations have improved over the years, and the trains rented by the UIC for Asia-Europe transport increased from 300 in 2014 to 1,777 in 2016. 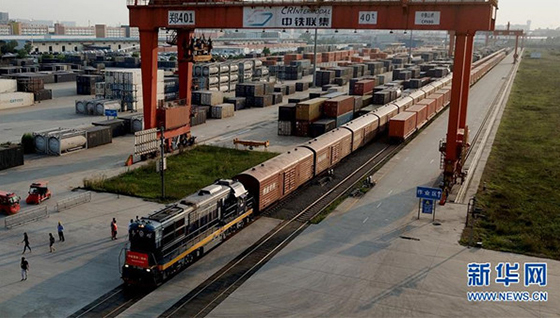 A study conducted by the UIC suggests that the freight volume between China and Europe will continue to grow, with an estimated annual increase of 14 percent from now to 2027. 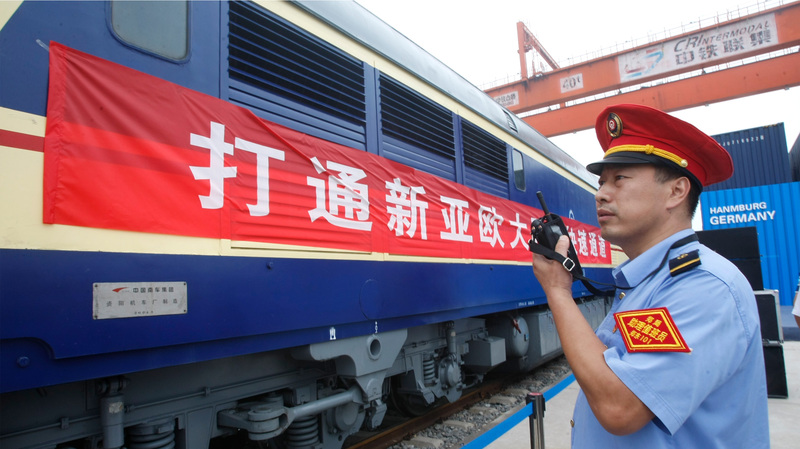 After five years of development, the Zhengzhou-Europe Railway Express has established a partnership with over 2,300 companies in China and more than 780 companies outside the country. 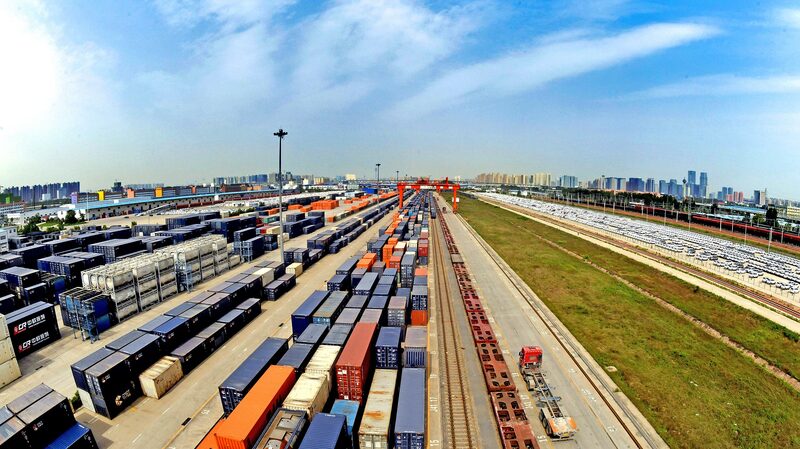 In China, the Zhengzhou-Europe Railway Express trains developed a goods collection area within a radius of over 1,500 kilometers with Zhengzhou at the center, which covers the Yangtze River Delta, the Pearl River Delta, Bohai Economic Circle and Northeast Industrial Base. 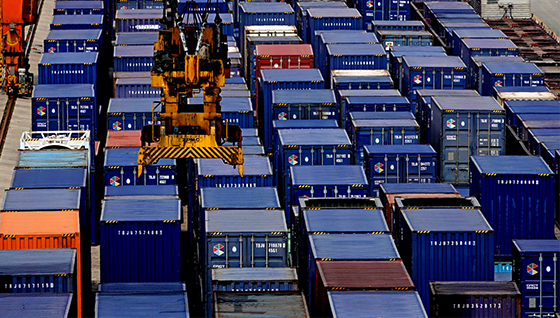 Over 80 percent of the goods they transported are from outside Henan province. 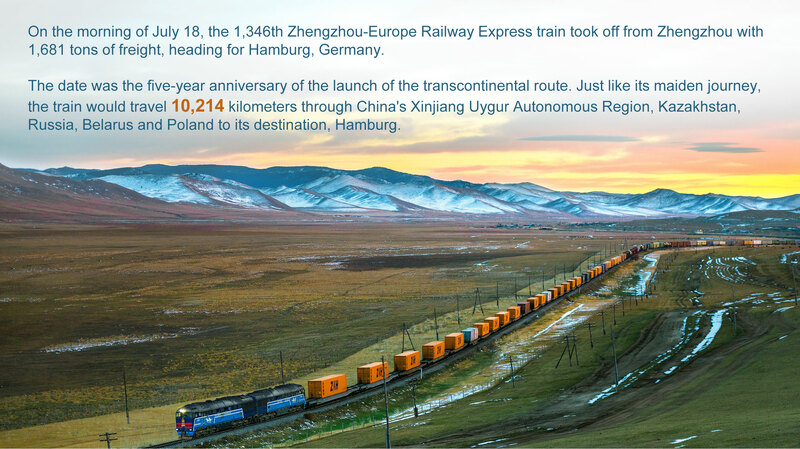 The goods-consolidation network for the Zhengzhou-Europe Express trains has covered 126 cities of 24 countries in Europe, central Asia and other regions across the world. 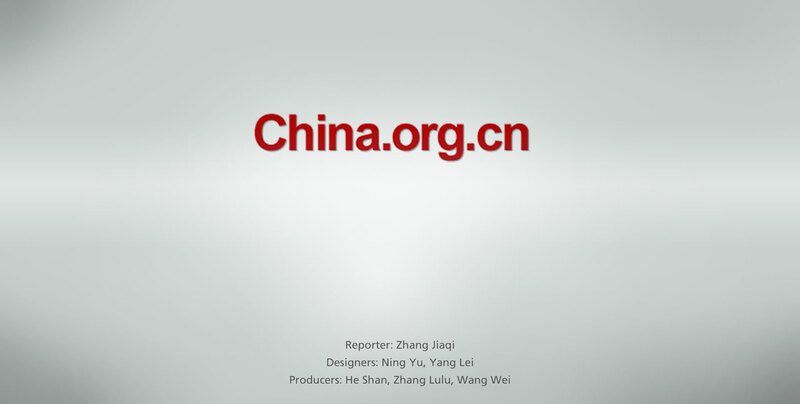 "The rail network in Zhengzhou connecting with other cities in the country is now extending in all directions," said Wang.